Cheap parking in Paris: where to park in Paris? 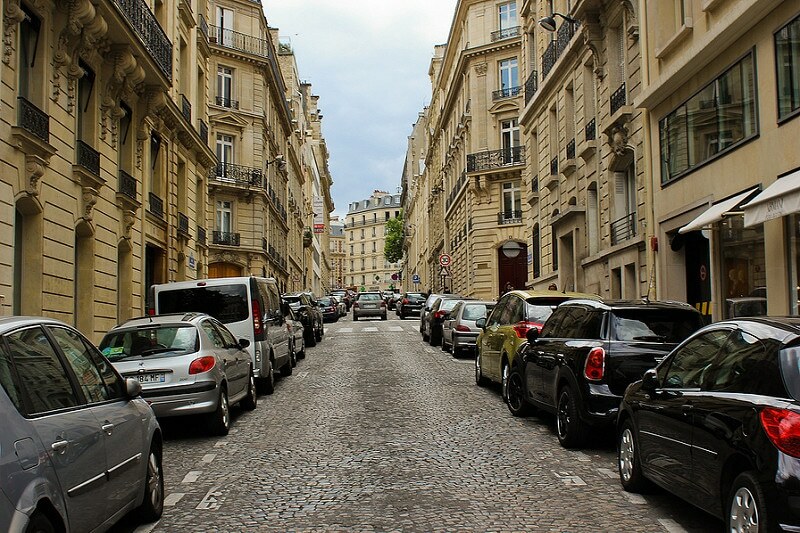 Traveltipy > France > Paris » Cheap parking in Paris: where to park in Paris? Where to park in the french capital? Discover the best ways to find cheap parking in Paris! Finding parking in such a heavily congested city as Paris can become a nightmare if you are driving during rush hour or during holiday periods. 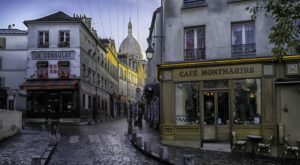 If you are traveling by car and you don’t know the best places to park in Paris, you will expose your vehicle to potential vandalism and risk being fined. For this reason, the issue of parking in Paris is just as important as the problem of finding accommodation. And as is often the case, free parking spaces are very popular, while paid parking is sometimes (very) expensive. In Paris, you can park on the street, but parking is generally charged from 9:00 a.m. to 8:00 p.m. (free on Sundays). Two tariff zones apply for parking in Paris: €4 per hour for arrondissements 1 to 11 and €2.40 for arrondissements 12 to 20. And generally, parking is limited to 6 hours at the same location. Otherwise, you can choose to park in Paris in the underground car parks, open 7 days a week and 24 hours a day. Here is our mini-guide to find a cheap car park in Paris to discover the city, hassle-free. The first idea that comes to mind is to drive around the streets to find a free space not materialized by the white stripes or the mention “payant” (paid parking) on the ground. We wish you good luck because this driving around can last a long time without ever finding any free parking space… In fact, only 2.5% of parking spaces in Paris are free of charge. France TV Info features a handy infographic online giving a glimpse of the different cheap or even free parking spaces in Paris (see below). Helpful information: you can park for free mainly in the Bois de Boulogne and in Vincennes. Another good tip: the allée des Fortifications, in the 16th arrondissement (Porte d’Auteuil), features free parking spaces on both sides of the street. We strongly recommend you book your parking space in advance. This is the best way to arrive in Paris serenely without wasting time finding a space. Many websites offer parking rate comparison services. 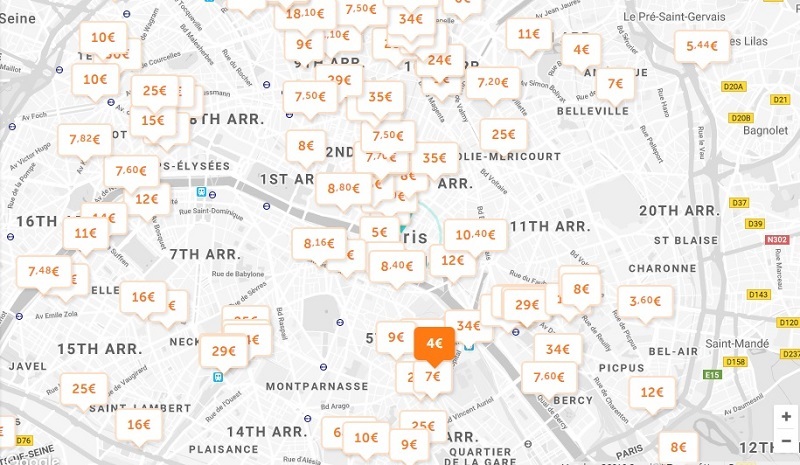 Finding cheap parking in Paris has never been so easy! Just select the car park closest to your destination and/or the cheapest and book online according to your schedule. You’ll find all the information you need on Parclick, one of the best online parking comparators, featuring 125 car parks from €1.60. The Gare de l’Est (Station of the East) serves the TGV Est trains to eastern France, Germany, Switzerland, and Luxembourg or the eastern suburbs of Paris. It can, therefore, be convenient to park at the Gare de l’Est depending on your travel plans. Centre Pompidou: 38, rue Rambuteau, €8 for 2 hours. Salpêtrière-Italy: 114, boulevard de l’Hôpital, €7 for 4 hours. If despite all these cheap car parks you can’t park in Paris, then you will have to try to park on on the outskirts of Paris and travel via RER, a suburban train or the metro, depending on your location. To avoid such an inconvenience, simply book your parking space in advance!